An Cuan caters for the needs of children with Autism, the emphasis within An Cuan it that of integration and providing students with a sense of inclusivity. 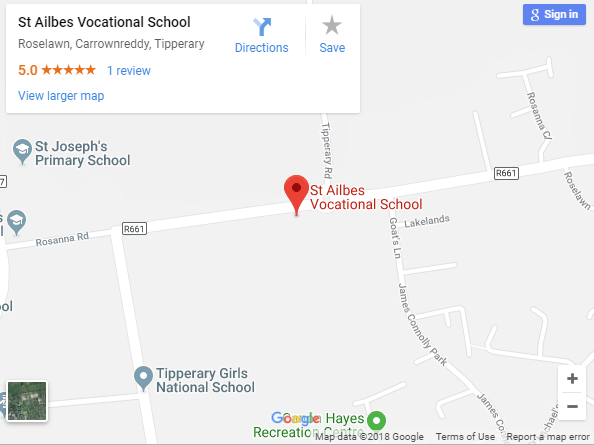 St. Ailbe’s School is the only post primary school in Tipperary town with two dedicated classes for students with ASD. We are very proud of this development and are currently undergoing a building project to further improve our facilities to support our students. The maximum number of students who will have access to each of these classes is 6. It is envisaged that the new building will be complete in September 2019. Any medium is acceptable, textile, etching, drawings, digital photographs etc. The only requirement is that is can be mounted on a wall. All work will be displayed in school from the 18th May. Judging will be carried out by the staff members listed, with a student vote representing 33% of the overall vote.